The Beauty Buster Awards was an exclusive media and beauty industry event hosted by Lora Condon, “The Beauty Buster.” The event was co-hosted by Next Vanity Salon and Lexington Plastic Surgeons, as well as brow artist Sara Kosmyna, who offered beauty services to the press and industry VIP's. The evening brought together many of the featured beauty industry names in Lora’s upcoming book SPA WARS: True Stories From The Beauty Industries Front Lines. My dear friend Stephen Marinaro aka TheSalonGuy invited me to this fun event which honored the Spa, Salon and Cosmetic industries’ top brands and personalities. Dressed in a dapper suit and tie, Stephen worked his interviewing magic with the evening's VIP guests. I wore my favorite “Emma Silk” shirtdress and snakeskin belt by LOGUE London, a UK based brand by Celebrity designer Emma Logue. As Emma mentioned in our recent interview, the shirtdress can easily go from day to evening by unbuttoning a few buttons on the top or bottom. I'm a huge fan of Emma and her luxury shirtdresses. She makes each one so unique by adding pops of color like the mint green cuffs in this piece. Teresa Giudice was the Celebrity guest for the evening and winner of a Beauty Buster Award for her haircare line Youthful 8 The Milania Collection. My friend Stephen, TheSalonGuy introduced us as he’s good friends with her and her family. Teresa was such a pleasure to meet in person and was just as bubbly and fun as she is on TV. 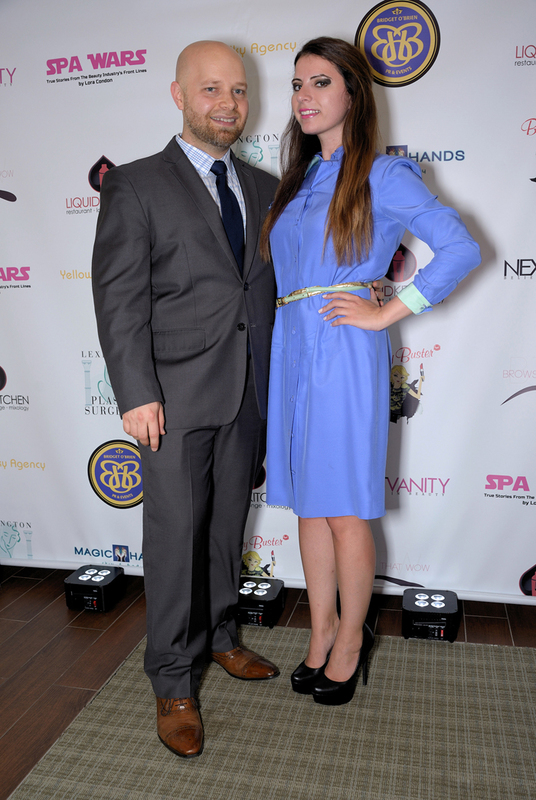 Check out TheSalonGuy's exclusive recap of the Beauty Buster Awards below!